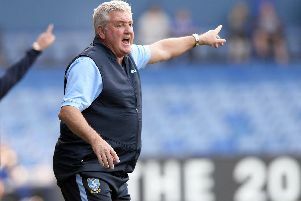 The group of Thai investors locked in talks with Sheffield Wednesday over a possible takeover are one of several parties who have expressed an interest in buying the Championship club in recent months. The Star understands the Owls have also held discussions with potential investors from China and the US. However, it is the Thai group who are in advanced talks with Wednesday chairman Milan Mandaric over a reported £30m buyout, although a deal has yet to be finalised. Mandaric, who is currently away on business in the US, was willing to sell Wednesday last summer, but his proposed deal with Azerbaijan oil and energy magnate Hafiz Mammadov eventually collapsed after contracts had been exchanged. Two months ago, Mandaric confirmed the club was losing up to £6m a year as he continued to search for a buyer who could inject finance into the club. Skipper Glenn Loovens, meanwhile, has challenged his Owls teammates to carry on supplying in-form striker Atdhe Nuhiu with the ammunition to bolster their play-off aspirations. Former Rapid Vienna player Nuhiu has notched two goals in as many starts, having previously gone 13 matches without finding the back of the net. The giant forward is Wednesday’s leading goal-scorer with seven goals in all competitions this season. Loovens said: “Attey has had some criticism for not scoring enough goals so I’m delighted for him. He works very hard for the team and has helped us against City and Wigan. “I’m sure if he keeps working hard he will get on the scoresheet even more for us. Stevie May and Nuhiu combined effectively for Wednesday’s goal at the Etihad and Loovens claims there is more to come from the duo.